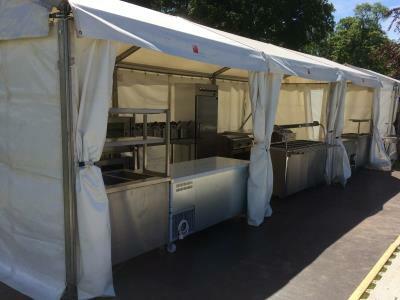 On-Site Kitchen Rentals Ltd have a wealth of experience in supplying temporary kitchens and catering equipment to the TV, film and media industry, from catering cast and crew on a location shoot to providing kitchens for use during filming, either as sets or for cookery demonstrations and TV chef roadshows. After many years working closely with catering, location and production companies, our knowledge of the TV and film industry allows us to create bespoke solutions with all the necessary equipment in a self contained unit. 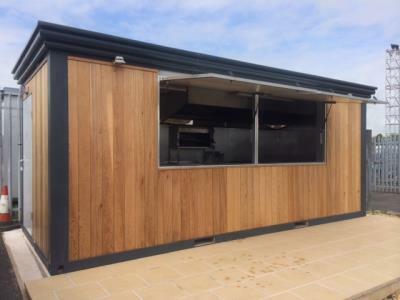 We have a flexible range of temporary kitchen solutions available and will advise on the best option to suit your requirements. 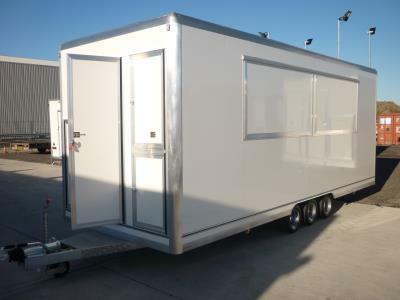 A mobile trailer kitchen, offering an easy in, easy out solution with a serving hatch and versatile layout. 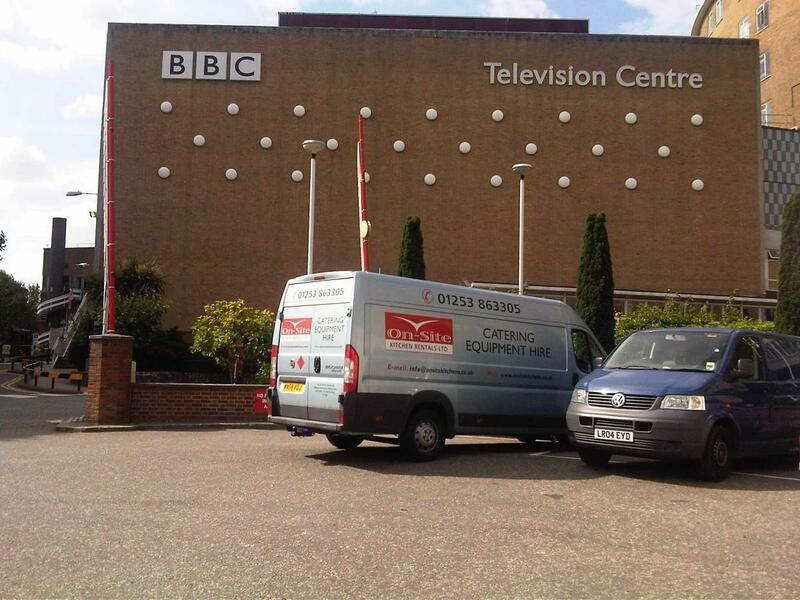 Ideal for cast and crew location catering, cookery demonstrations and as a takeaway burger van in front of the camera. Where crew numbers are greater or you want to provide more of a hospitality experience for the cast. 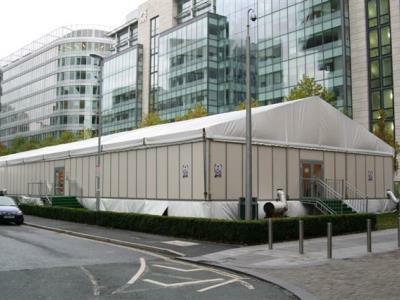 Our kitchen marquees can feed hundreds or even thousands and be equipped with serving and dining facilities. 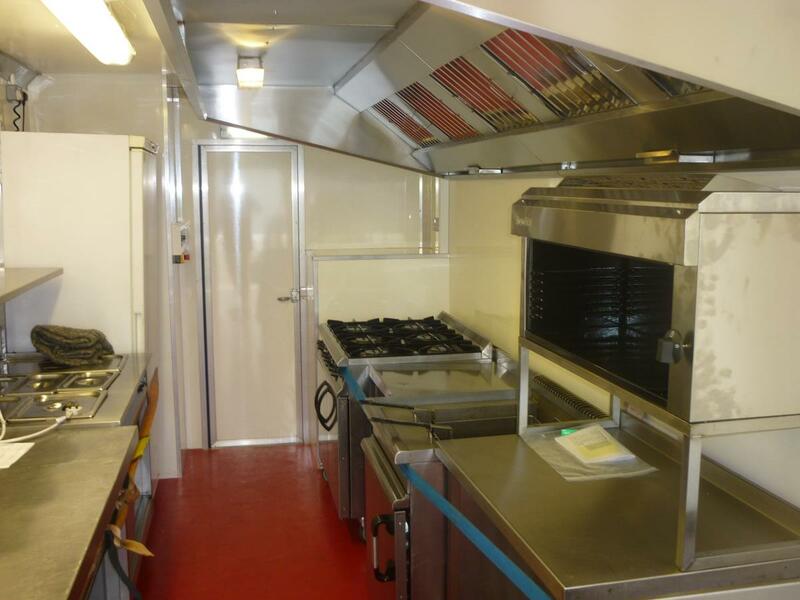 Our spacious hire kiosk kitchens offer a flexible catering solution for indoor or outdoor use. Their pleasing appearance and the option of corporate style branding also makes them a good candidate to appear in front of the camera. Filming on location overseas? 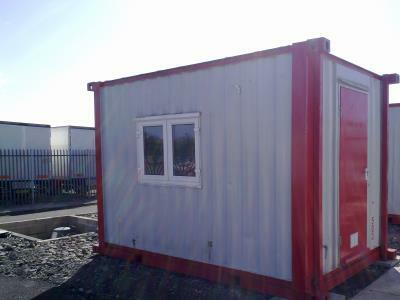 Our shipping container kitchen could be what you're looking for. A versatile, off-grid temporary kitchen, capable of being easily transported, shipped and rapidly deployed around the world. Optional fresh and waste water tanks, enclosed gas feeds and secured generators for electricity allow all units to be placed on the street or in green field locations where mains services aren't available. 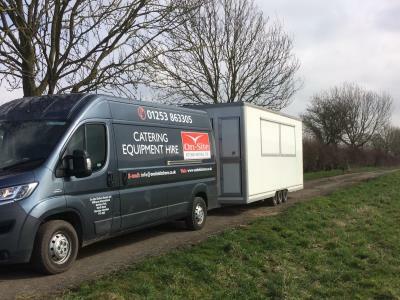 From derelict buildings and industrial complexes to country houses and green fields, we regularly work with film location companies to provide catering on site wherever TV and film crews end up. 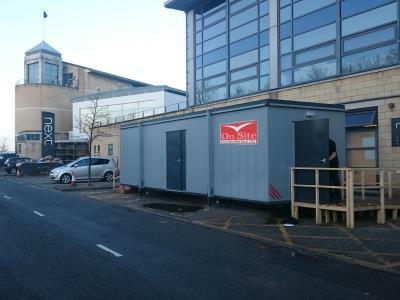 Off camera, our rental kitchen units have helped indirectly to support the filming of a large number of BBC and other TV dramas, including catering for the cast and crew of ITV's Emmerdale. 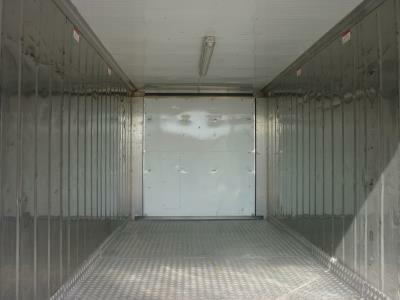 Our units can also boast some Hollywood 'A' List celebrity exposure. Whilst catering for cast and crew at the BBC's Top Gear at Dunsfold Aerodrome in Surrey, the "Star(s) in a Reasonably Priced Car" were Tom Cruise and Cameron Diaz. 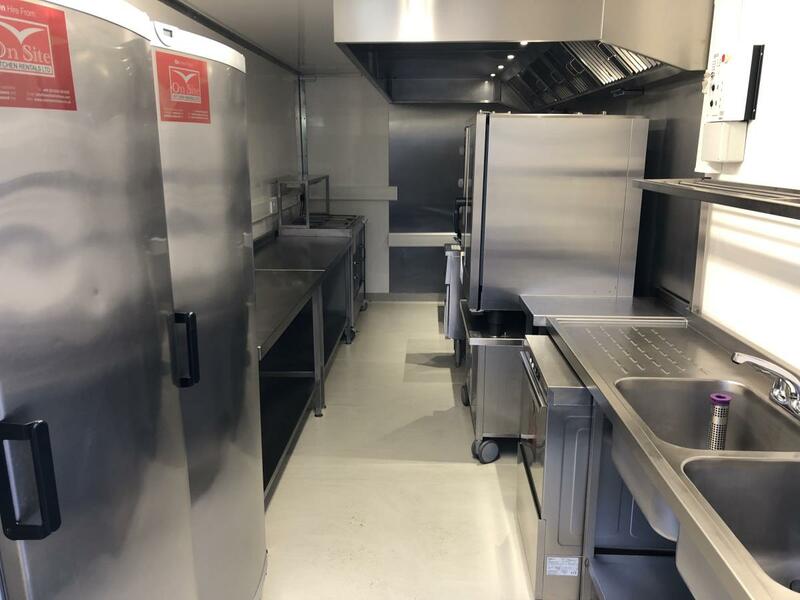 We can also provide stand-alone catering equipment or rental kitchen units for cookery demonstrations and roadshows, with clients including the likes of Ready Steady Cook doing cooking roadshows. Another example includes Gino D'Acampo doing cooking demonstrations as part of a hospitality film shoot for Stoke City FC's TV channel. Perhaps the best known example of our TV chef roadshow work would be the Jamie Oliver Christmas advertising campaign for Sainsbury's a few years ago. 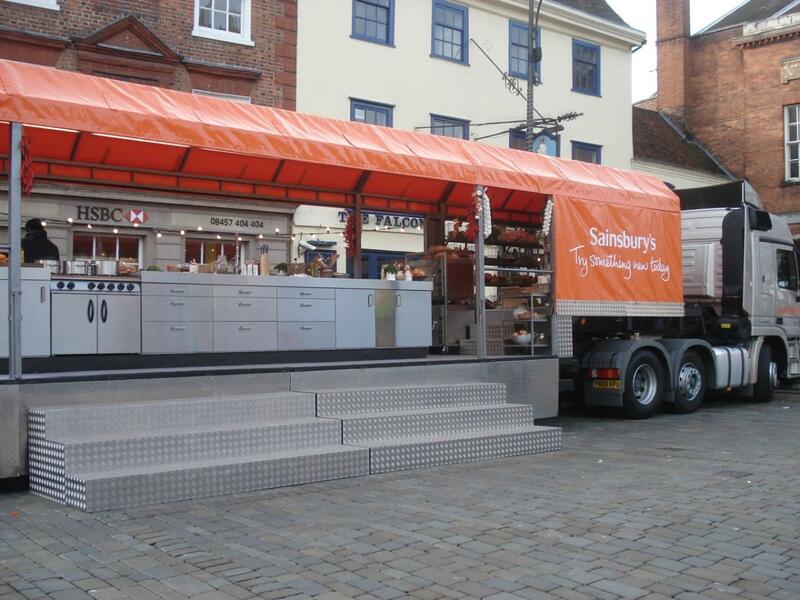 The advert featured Jamie Oliver on a mobile roadshow, giving cookery demonstrations in various locations from a branded articulated trailer, featuring cooking and preparation equipment supplied and installed by On-Site Kitchen Rentals Ltd. In addition, back-up kitchens were provided at each location for off camera production of approximately 40 food lines from the Sainsbury's range. As above, as well as providing full kitchens, we can also supply individual catering equipment pieces for use on or off camera. There are no maximum hire periods and we offer a comprehensive service contract. We recognise safety is paramount and all our installations are to current health and safety legislation and regulations, with full training and manuals provided for all equipment. 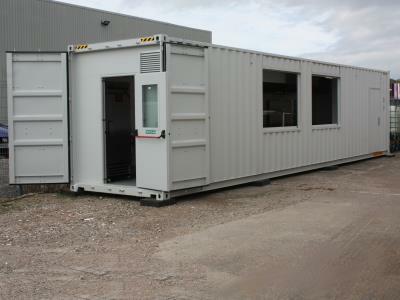 In fact, On-Site Kitchen Rentals Ltd were invited to provide kitchens at the HSE headquarters, so what better endorsement? For examples of our TV & film shoot kitchens, take a look at our case studies pages.